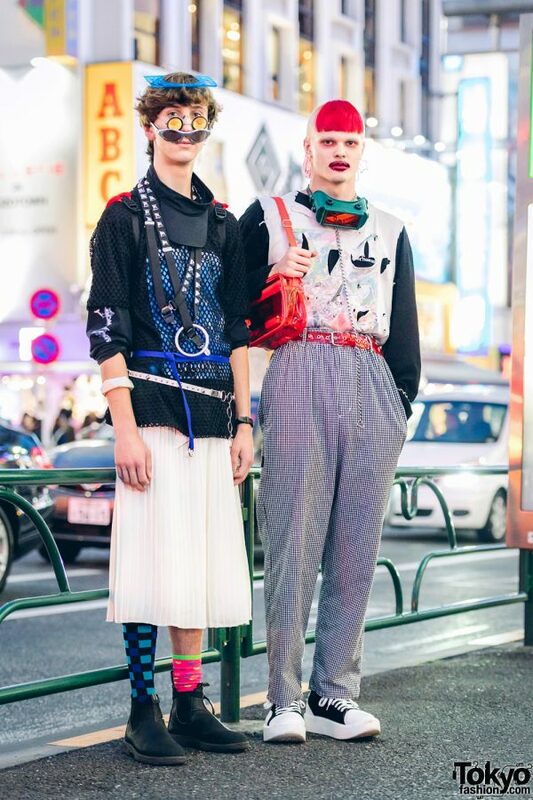 While taking a stroll down the streets of Harajuku, we came across Adrian and Garrett, who easily caught our eye with their avant-garde street styles. 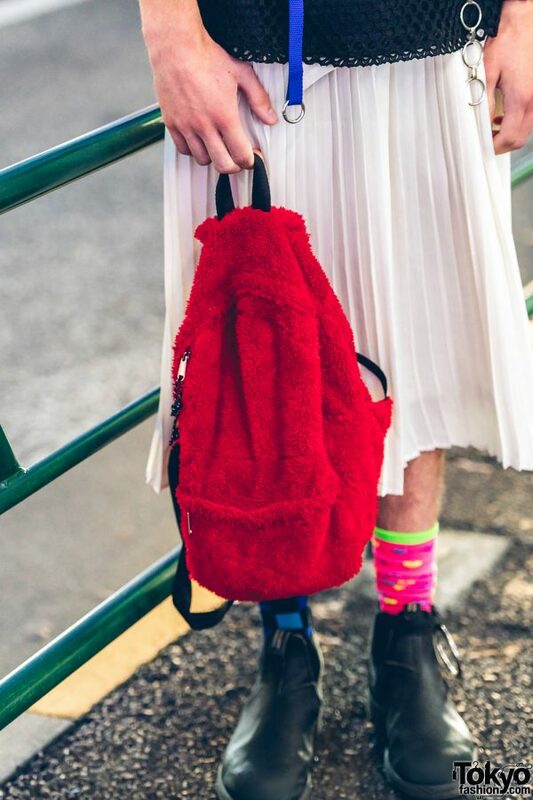 At the left, Adrian’s ensemble features a black Ancient Future fishnet shirt over a black P3rle sweatshirt, a white accordion-pleat skirt, mismatched colorful socks, black Chelsea boots, and a red fuzzy backpack. 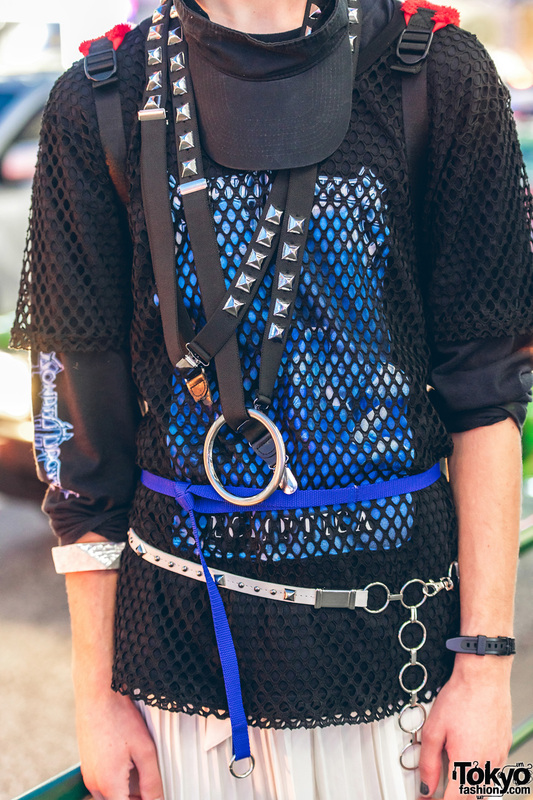 He accessorized with a blue plastic headpiece, double glasses, a black visor worn around his neck, studded suspenders hanging from his neck, a white studded belt, a blue belt, and bangles. For his social media update, follow Adrian on Instagram. 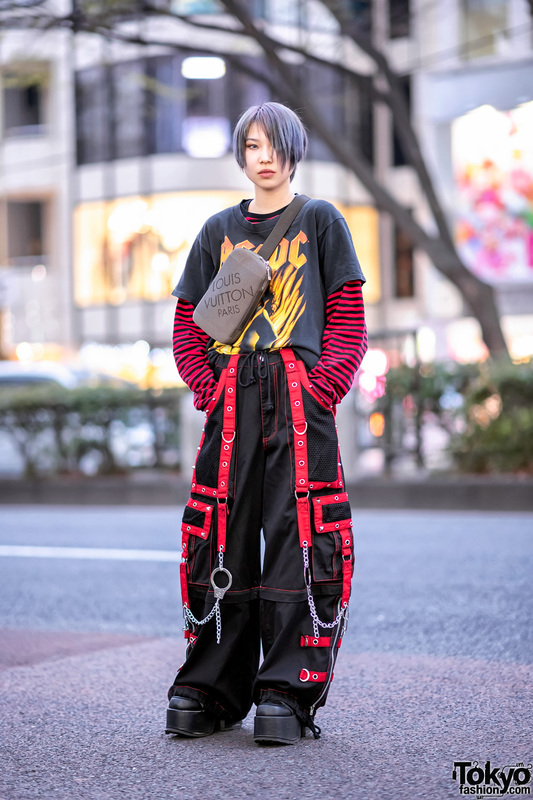 Red-haired Garrett – an ice cream lover – is wearing a distressed t-shirt over a black More Than Dope sweater, Tokyo Bopper plaid pants, and platform sneakers. He accessorized with star earrings, goggles, a chain dog collar and see through red belt from WEGO, and he is carrying a red see through sling bag from Tokyo Bopper. 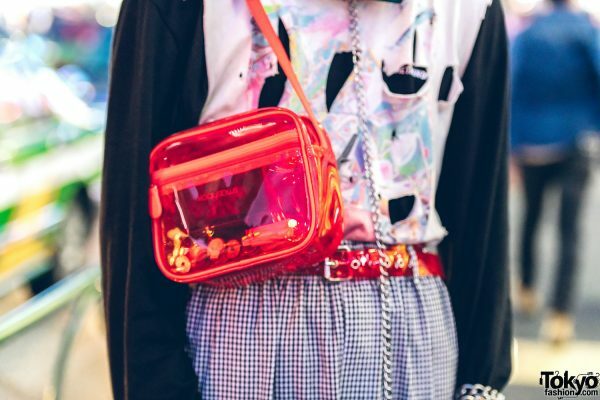 Follow Garrett and his style feed on Instagram.